The Friends host a semi-annual book sale at the Citrus County Auditorium. 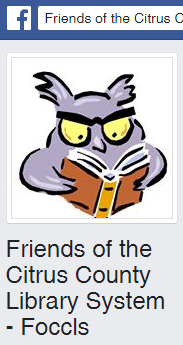 The Friends work to make our libraries better for the community. Join us and have fun supporting Citrus Libraries. Bookhouse volunteers posed in front of a wall of banana boxes stuffed with used books. Volunteers sort donations throughout the year. Bring your gently used books, CDs, DVDs, puzzles and games to your local Library and help support the Citrus County Library System. 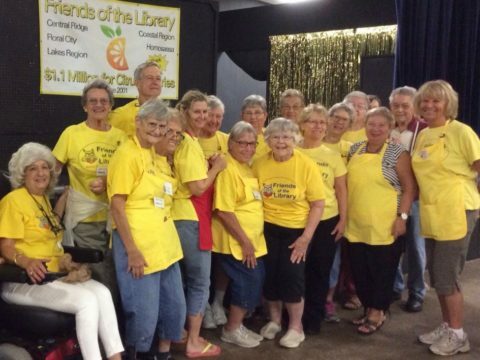 Friends of the Library volunteers are all smiles after completing another great fundraiser for our Citrus County Library System. Over $34,000 was raised and profits will benefit Central Ridge, Coastal Region, Floral City and Lakes Region libraries and the Citrus County Library System as a whole. Thank you to all our supporters! 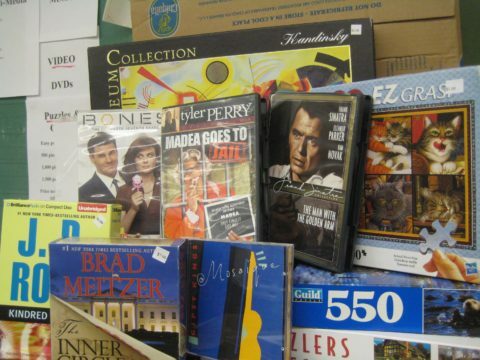 FOCCLS’s Booksales also feature DVDs of popular movies, TV series and classic films, music and audio books on CD, and hundreds of beautiful jigsaw puzzles.